CaraVan Morrison: It’s a party on wheels! 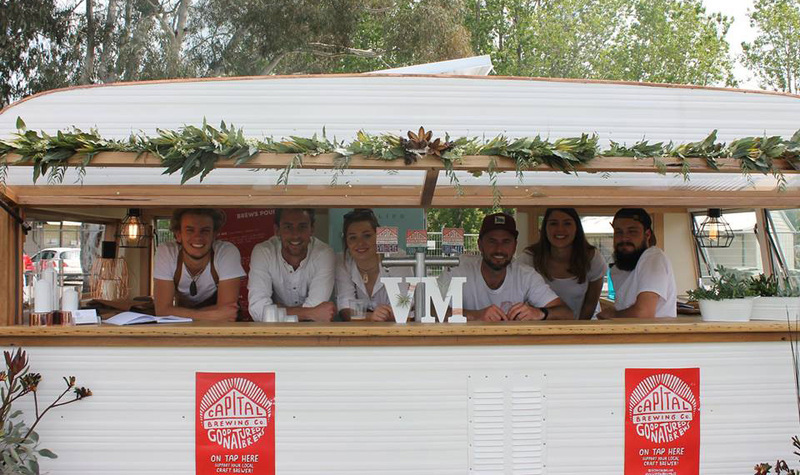 What do you get when you combine a bar manager, carpenter and a 1970s caravan? The brainchild of lifelong friends Liam Thomson and Digby Walcott, CaraVan Morrison is a groovy mobile bar – fully equipped with all the functionality of a bar or café, but on wheels. The nifty caravan and its beloved owners can be booked to serve drinks at just about any event or function. The caravan is installed with a retro fridge, beer tap system and industrial coffee machine. Beer, wine, champagne, soft drinks and coffee may be the usual but Liam and Digby are taking it to the next level, even offering “Cocktail Kegs” where they make up 10 or 20 litres of cocktail mix and serve straight from the taps. CaraVan Morrison is being booked out for Christmas parties, weddings and birthdays across the Capital and surrounding areas. Liam and Digby now have a suite of RSA qualified staff on call, including mixologists, brewers and service staff, to provide the complete experience. Using his relationships with local liquor wholesalers, Liam can also facilitate ordering of wholesale-priced beer, wine and spirits to his customers. CaraVan Morrison is certainly getting a workout, as the pair field a growing number of calls for bookings. “We just saw a gap in the market, and put our complementary skills together to make it happen,” Liam says. The best friends have big plans for expansion and are looking forward to offering additional services and capitalising on CaraVan Morrison’s mobile functionality. For now though, they’re simply enjoying seeing the caravan they spent months renovating help Canberrans get the most out of the silly season! To find out more, or to book CaraVan Morrison for your next event, call Liam on 0431 487 418 or visit the CaraVan Morrison Facebook page.